I love to cook and I make almost all of our meals from scratch. Some days I enjoy spending hours in the kitchen, but some days I want to get in and get out! Especially in the summer months when the days are long and I can head out for a walk or bike ride after dinner. I never want to skimp on taste or nutrition, so I get creative and make a “skillet meal”. That means everything in one pan with dinner on the table in less than 30 minutes. 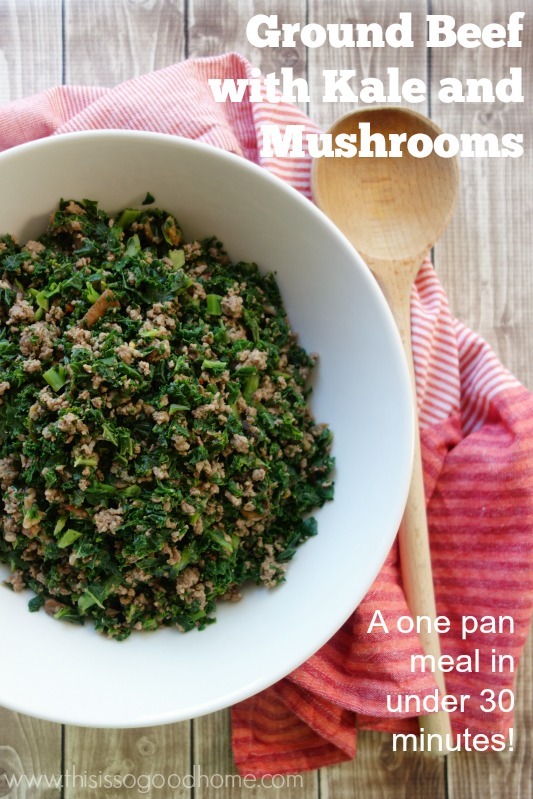 Today I’m going to share with you one of our favorite skillet meals – Ground Beef with Kale and Mushrooms. The trick to getting this meal done quickly is keeping a well-stocked freezer and spice cabinet. I always have ground beef from our local farmer in the freezer as well as lots of bags of frozen organic vegetables. The night before I plan to make this dish, I will grab the beef from the freezer to let it thaw in the refrigerator overnight. I don’t even bother thawing the vegetables, but you could grab those too while you are in the freezer! What’s the best way to up the flavor ante for any dish? Spices! I use garlic powder and onion powder in many of my savory dishes, as I did with this one. Here I also wanted just a slight amount of heat, so I toss in a little cayenne and crushed red pepper. It’s not overly spicy, but gives the dish just a little kick! 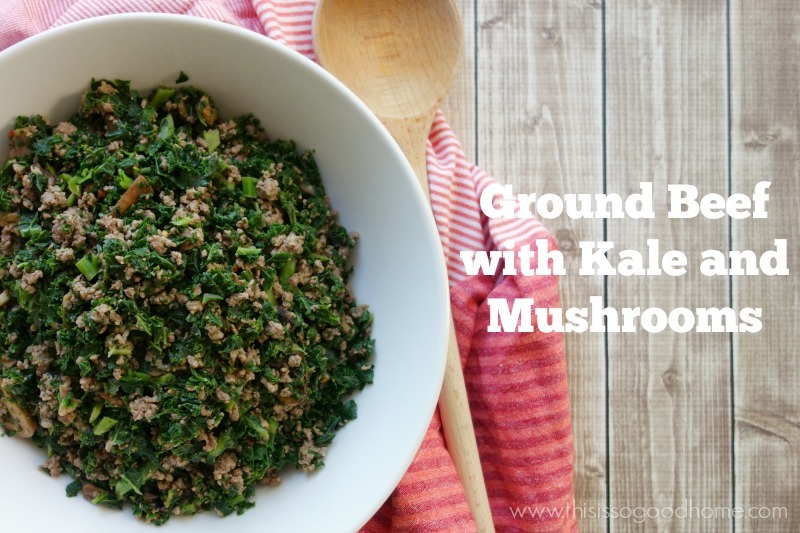 Ground Beef with Kale and Mushrooms is perfect for dinner but also tastes great warmed up for breakfast or lunch the next day. I often grab leftovers for breakfast just to give myself a break from eggs or smoothies! I keep a hotplate at work to re-warm dishes like these for a healthful, filling lunch. 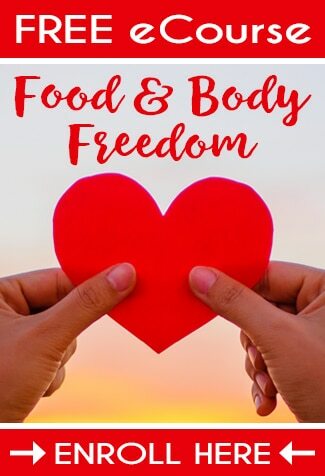 If you are a fan of quick and easy meals that still deliver on taste and nutrition, check out some of my other favorite go-tos: Pan Seared Cod with Artichokes and Capers, Five Spice Pork with Broccoli, Carrots, and Garlic Scapes, or Lemon Garlic Baked Salmon. Heat a large skillet over medium heat and add the ground beef. Break the meat up into little pieces with a large spoon or rubber scraper, stirring and continuing to cook the meat until it is no longer pink. Drain the excess liquid and fat from the pan and return it to the heat. Add the frozen kale, mushrooms, and all of the spices to the cooked ground beef. Stir to combine. Continue cooking for about five minutes or until the vegetables are warmed through.